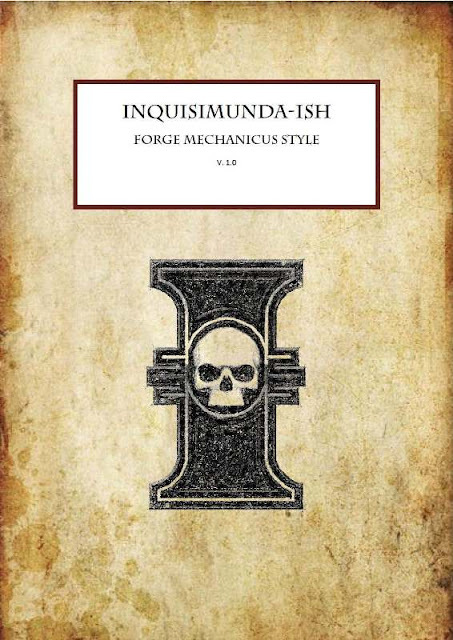 As mentioned previously I have been working on some rules for skirmishing Inquisimunda style. There has been some interest so I might as well share. We never played any skirmish games in this setting and the main cause for this compilation of rules was to have a very short set of rules - two pages here actually. Please bear in mind that the rules were made for some personal gaming and will most likely be easy to exploit, if winning is the sole purpose of your gaming. The rules are a mixup of rules from Mordheim, Necromunda, Inquisimunda, both original and Yak tribe, and 1 Page Kill team. So far the only contain the Inquisition and Chaos covens, cause that's what we'll use, we use the warbands from Yak Tribe's Inqusimunda though if you want to have ago at some other ones. Any comments and suggestions most welcome - also on the name! I like the idea of this and will read through in the next few days. =I=munda is a fun, though incomplete game so will be excited to see what improvements you've made.